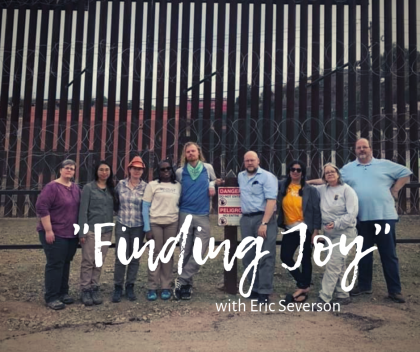 Join us this Sunday as Eric Severson shares with us “Finding Joy”. Eric will speak about his cultural immersion trip to the U.S.-Mexico border. Eric Severson is a long-time member of our congregation. He received his Master of Divinity degree from Meadville Lombard Theological School in 1998, then life got in the way. Twenty years later, he has returned to the path of ministry. He completed an internship at First Unitarian Society in Madison, WI, in 2017 and is preparing for preliminary fellowship, ordination, and settlement as a Unitarian Universalist minister.